Native people have used the roots of this plant for fever, catarrh and pain. The Iroquois used it as a ‘love medicine’ and as a ‘smudging’ herb to revive the unconscious. 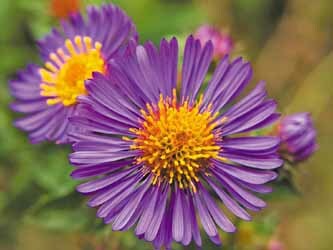 This showy North American native displays its deep violet flowers in the fall.